Tonight I’m back to a porter, and this is one of the classics of the style. Fuller’s London Porter The nose has roasted malt, and a hint of raisins. The middle has coffee and a bit of cocoa, and the finish has some bitter herb notes balancing the molasses sweetness of the malt. When I think of a porter, this is what I think of. The body is medium to heavy, and the alcohol is a light 5.4% ABV. 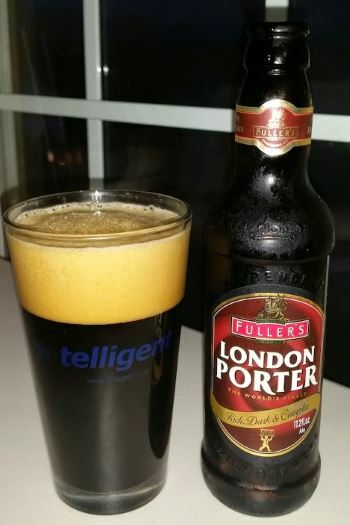 This entry was posted in Reviews and tagged Ale, England, English Porter, Fullers, Porter, UK on December 16, 2014 by Xander. 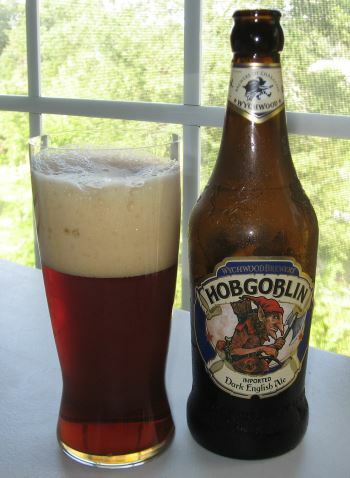 Hobgoblin called “A Dark English Ale” is an ESB (Extra Special Bitter) from Wychwood Brewery of Oxfordshire, England. I don’t review a lot of ESBs, but it’s a classic style and a wonderful introduction to traditional English ales. The nose on this one is faint, with just a bit of grain and figs. The middle has caramel and orange notes, fading to a nutty finish that has some bitterness that turns to sweet molasses right at the end. Ultimately this is a nice classic ESB, and very enjoyable. This entry was posted in Reviews and tagged Ale, Bitter, England, English Ale, English Special Bitter, English Strong Bitter, ESB, UK, Wychwood Brewery on September 5, 2014 by Xander. This is a brown ale I really enjoy. It’s a typically brown ale in that it’s malty, not hoppy or bitter, but it’s also not sweet. It has a very nice dry malty character that I particularly enjoy. It’s a nice rich brown in color, and has a sticky meringue like head that doesn’t dissipate. The nose has some caramel, licorice, and raisins. The middle is grainy and nutty, and has a bit more licorice, but isn’t sweet. The finish really dries out, and has heavy walnut flavor. This is a really nice example of a malty ale that isn’t sweet. 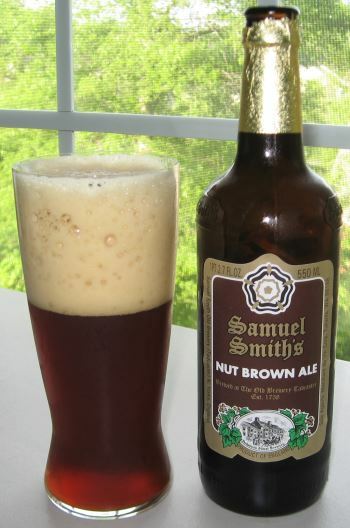 This entry was posted in Reviews and tagged Ale, Brown Ale, England, English Brown Ale, Great Britain, Samuel Smith, UK on May 2, 2014 by Xander. With Daylight Savings Time in effect, and spring officially only a few days away now, it’s time to review the last of the winter seasonals. 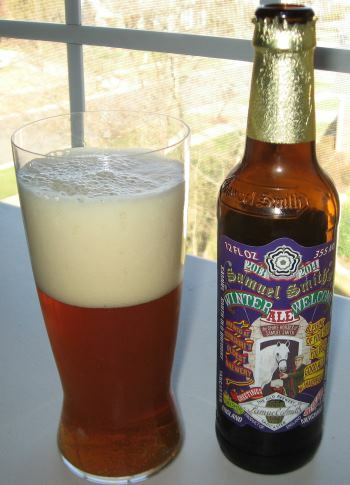 The year, honor of the final winter seasonal review goes to Samuel Smith’s Winter Welcome Ale. This winter warmer is a malty brown ale with a nose containing toasted grain, a bit of toffee, and some slight orange, and floral notes. The middle has some apple and grape, lemon zest, and well roasted grain. The finish is the same, with a good bit of toffee coming back as it warms. Nothing spectacular here, but a fine beer with which to wish winter a fond farewell for another year. This entry was posted in OpenCraftBeer and tagged Brown Ale, England, ESB, Samuel Smith, Seasonal, UK, Winter Seasonal, Winter Warmer on March 14, 2014 by Xander. 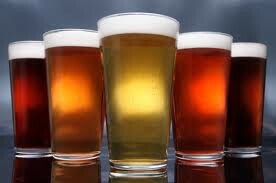 Many years ago, when I first started to branch out from the macrobrews and into the exciting world of craft beer, I had a particular interest in British beer. Samuel Smith in particular, as the establishment from which I purchased most of my beer at that time had an excellent selection of the Tadcaster brewery’s various offerings. However, at some point between those early years and when I started blogging here, I’d tried virtually all of the variations I could find at the time and moved on, so I’ve unfortunately neglected the fine English Ales which are such an integral part of beer history. 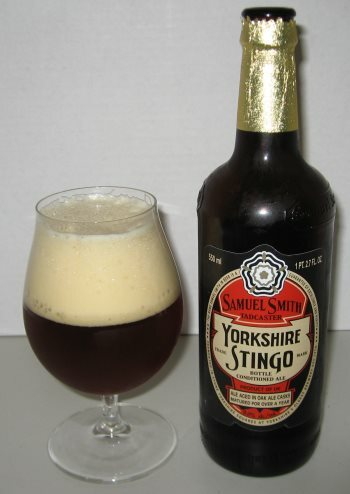 Tonight I begin to rectify that oversight with a review of Samuel Smith’s Yorkshire Stingo, an oak-aged, bottle conditioned English Strong Ale, and strong it is, at 9% ABV. Because it’s bottle conditioned, it recommends a gentle pour which lends to a head that dissipates quickly. The nose is rich with scents of raisins and figs and plums. The only ingredient other than the big four (water, barley, hops and yeast) is cane sugar which is what explains the high alcohol levels and the fact that this beer tastes like a fine dessert. The middle has flavors of plums, toffee, and molasses. In the finish, there is vanilla pudding and oak. I’d call the body medium. It’s not quite as heavy as I’d expected, but it’s perfectly pleasant. The only bitterness at all is in the oak right at the finish, otherwise, this is definitely a sweet beer, perfect for after dinner and an excellent example of the style. 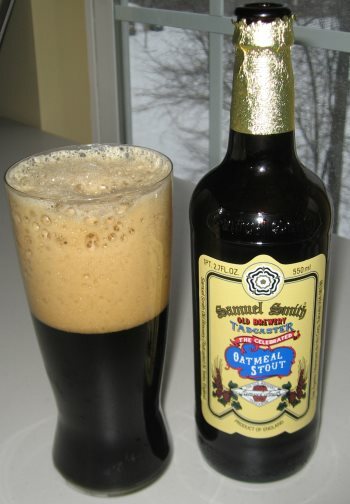 This entry was posted in Reviews and tagged England, English Strong Ale, Samuel Smith, Strong Ale, UK on September 6, 2013 by Xander.